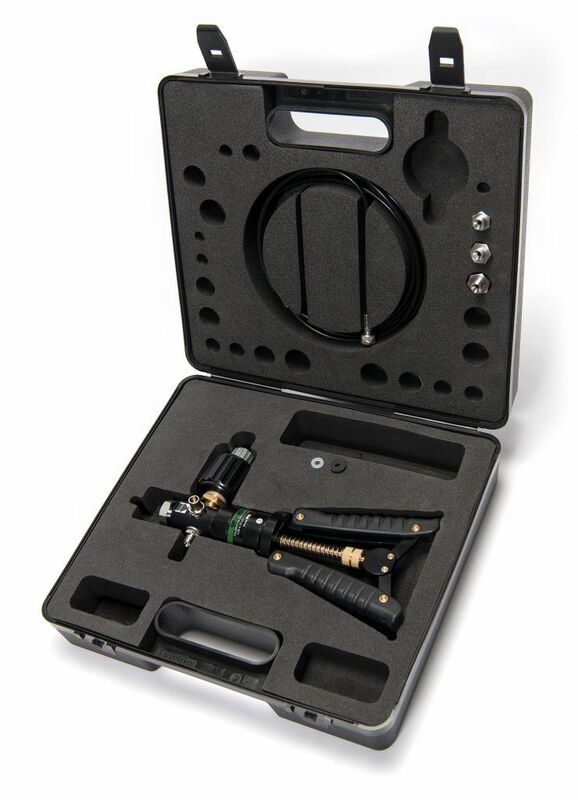 The new PGC hand pump from Beamex is a pneumatic pressure and vacuum generator capable of easily generating -0.95 to 35 bar, conveniently switchable between vacuum and pressure by using the in-built pressure / vacuum selector and capable of very fine pressure adjustment using a fine adjustment valve. The hand operated scissor action of the pump with adjustable stroke length setting allows the generation of pressures up to 35bar with ease. The PGC hand pump is supplied as standard with the normal Beamex low pressure fitting, a G 1/8” female with a 60° male internal conical adaptor. To complement the new PGC hand pump there is also an all-new 40 bar T Hose set with fittings that match the PGC hand pump and Beamex pressure modules in the same way that the current 20 bar T hose set does.